It’s officially summer around here. I’ve already got a tan going, my car is covered in sand from the beach, and Andrew has been making margaritas non-stop for the last 2 weeks (he’s trying to perfect his recipe). Between his margarita making and my juicing and baking, we’ve been going through limes like crazy. I don’t know what it is about limes that scream summer, but I love them for it. In addition to getting traditional limes this week, I couldn’t resist buying a bag of Key limes, which are smaller and undeniably cuter. These itty bitty ones were just waiting to be zested and juiced for something special. There are so many things you can make with Key limes (pies, curd, etc. ), but I had a hankering for cookies and these ones definitely hit the spot. Key lime zest, Key lime juice, whole grain pastry flour, butter and coconut oil give these cookies great flavor and texture. They are sweet and tart, soft and light–perfectly balanced if you ask me. In a medium bowl, sift together the all-purpose flour, pastry flour, baking powder, and salt and set aside. In a large bowl, cream the butter, coconut oil, and sugar until light and fluffy. Beat in the egg and egg yolk. Add the lime juice and zest and beat until just incorporated. Stir in the reserved flour mixture in two batches, stirring until just combined both times. Cover the bowl and refrigerate for about an hour, until firm. Meanwhile, heat the oven to 350 degrees and line a baking sheet with parchment paper. After the dough has chilled, roll the dough into 1-inch balls and place on the prepared baking sheet, leaving an inch or so between each cookie. Bake for 10 to 12 minutes, until the edges are just starting to turn golden. Slide the parchment paper (with the cookies) onto a wire rack and cool the cookies completely. 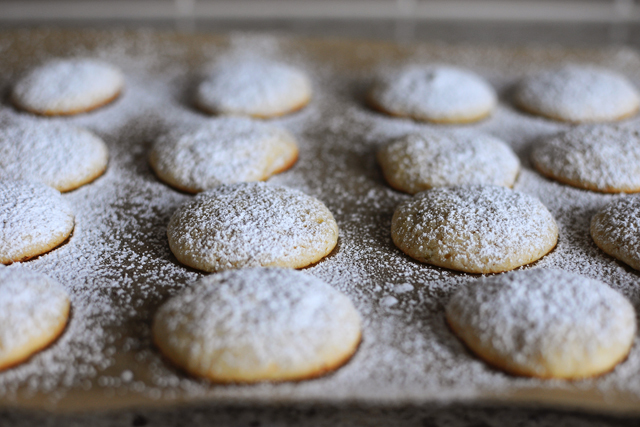 Once cooled, dust with confectioners sugar. So glad you stumbled here! I took a look at the little loaf and am so inspired by your baking. PS: The warm soft chocolate cake is pretty spectacular and incredibly easy to put together. Let me know if you do try it! these look perfect for summer! definitely bookmarking this! Perfect summer cookies! 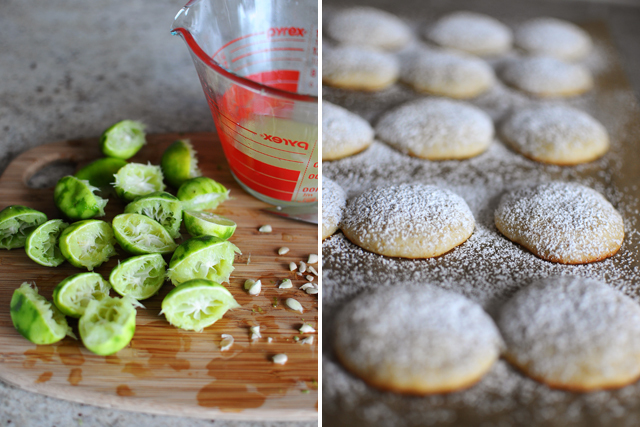 Limes always make me think of summer… and coronas… :) I love how simple these are, my favorite kind of cookies! Mmm…these look wonderful. 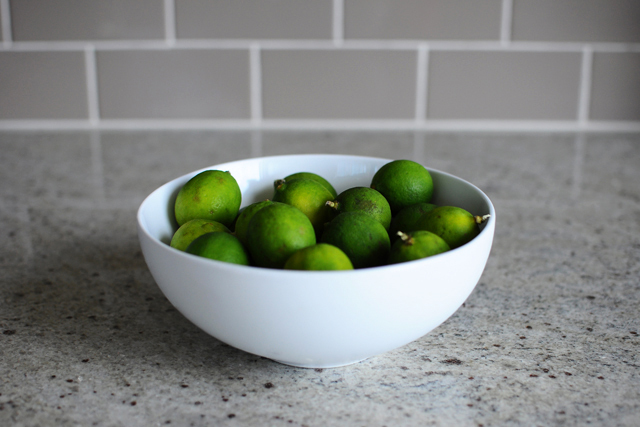 I made key lime bundt cake last week and now I’ve also got a hankering for lime everything!